We had the perfect view from my neighbor's front porch. We'd watch them go up. Then drop straight towards the ground. Amazing! Our house happened to be directly in the flight path and I kept thinking I'd get a picture of them flying right overhead. But I never did. 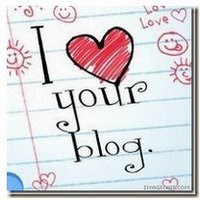 Not to fear though, my sister in law had an AWESOME picture of her view on her blog that I stole. The Blue Angels were so cool, I hope to hear that deep engine roar again someday! I really love the Blue Angels. I didn't know they were over there in July - Cool!! They are amazing to watch! And how cool that you could see the show right from your house - no crowds! SAaaa-Weeet! P.S. I just realized that earlier this summer you asked me for the family feud stuff and in my narcotic haze after my surgery I spaced it. SOOOOO sorry! If you still need it let me know. Love the Blue Angels. Absolutely Love living back in Jacksonville and looking forward to the Air Show at the Beach where they will perform. The boys have no idea what their gonna see. Reminds me I need to look up the dates. Anyhow I'm back to blogging. So coe see.